One thing that I have always enjoyed with my baths are bath BOMBS. 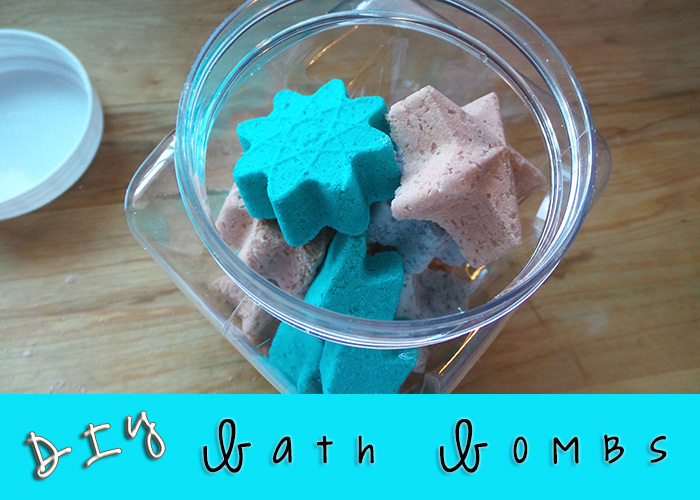 Since I have made my own homemade soaps and bath salts in the past I thought it would be fun to make some homemade bath bombs that I can use to not only spoil myself but also give as a gift too! 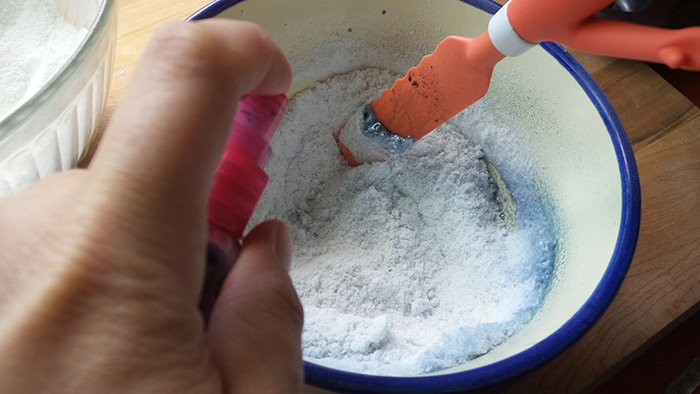 First you will want to get a large bowl and sift baking soda, citric acid, cornstarch through a sieve to remove any chunks. Stir to blend. 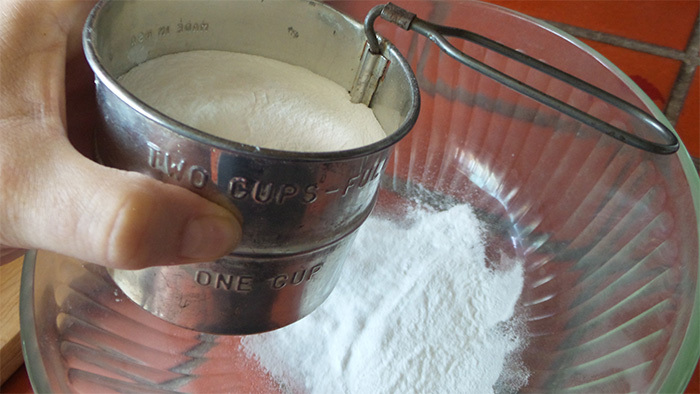 If you don’t have a sieve, you can also use a wire wisk. 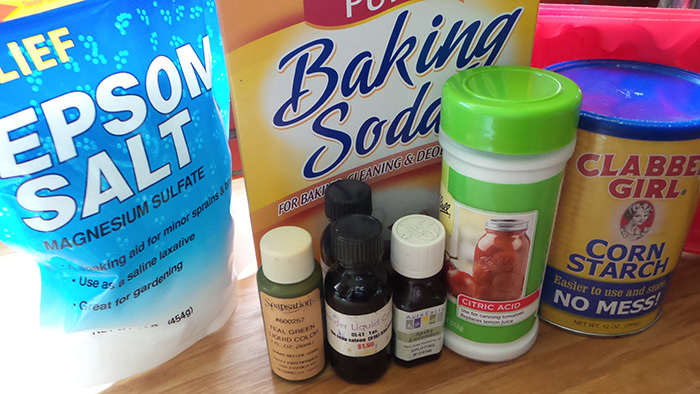 Add epsom salts and stir again. 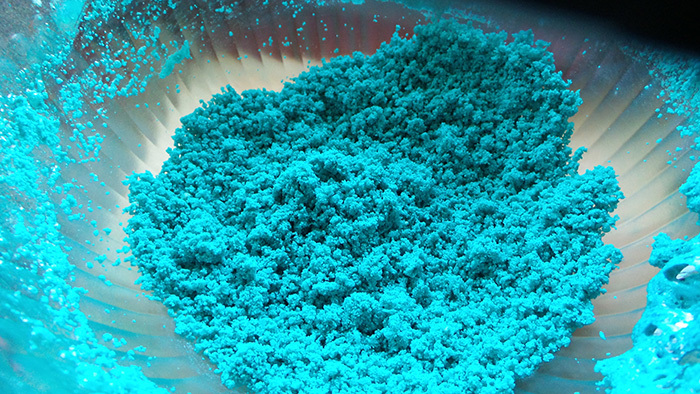 Measure out 1 cup of bath bomb mixture into a medium bowl. In a small spritzer bottle add a small amount of water and about 6 drops of your liquid coloring and shake well. Lightly spritz the mixture and stir as you are spritzing. 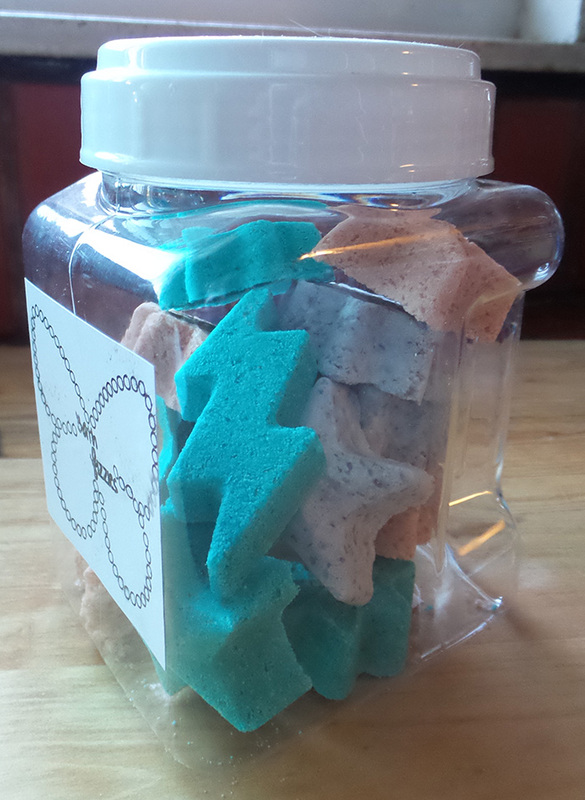 Be sure to spritz slowly so your mixture will NOT start fizzing. 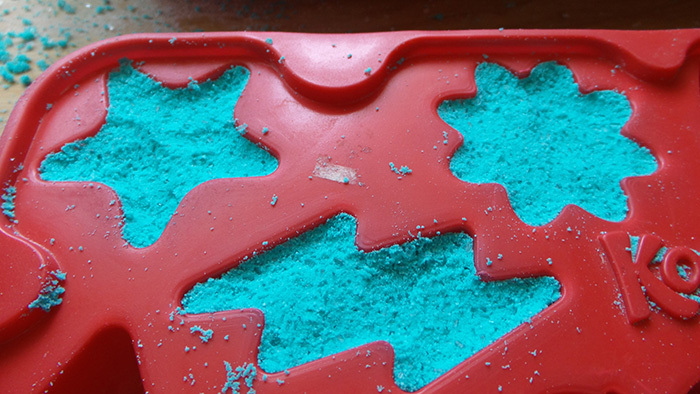 Your mixture should have a wet sand texture when touched. If you want your mixture darker, add a drop or two of the coloring in the mixture without the water and make sure to mix well. 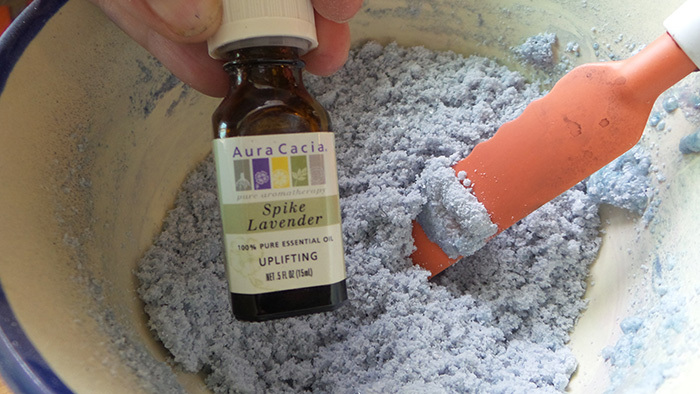 Next add about 4-5 drops of the essential oil into the mixture and mix well. 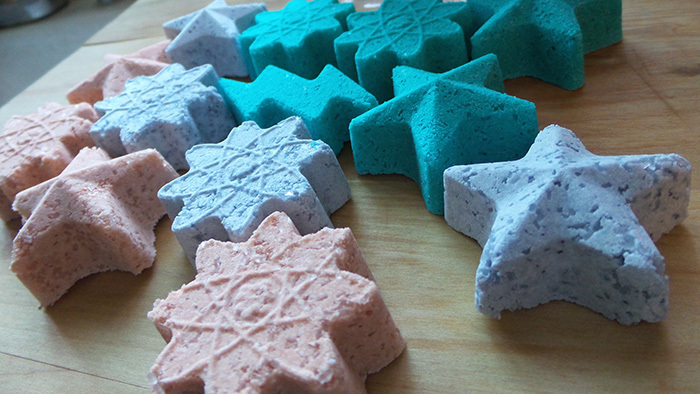 Firmly pack bath bomb mixture into your bath bomb molds. 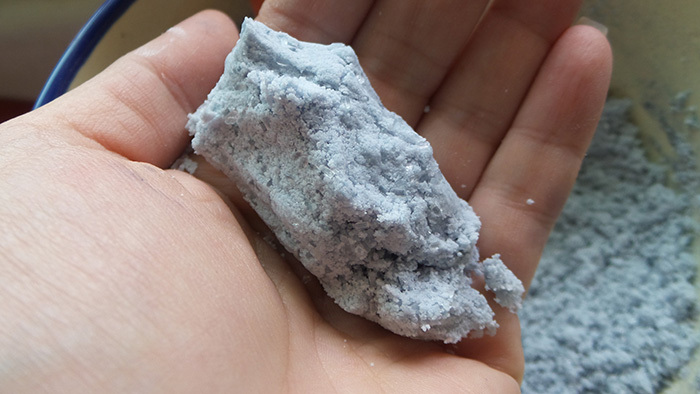 Allow mixture to set in mold at least 2 hours before you try to remove it from mold. Once they are hard and dry, gently pop them out of mold. 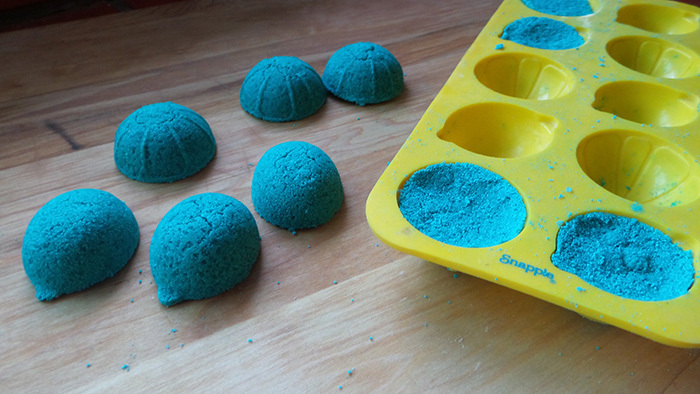 Rubber molds make it easy to remove the bath bombs but the metal baking tins are not so easy. I found the best way to remove the bath bombs out of my metal baking dish was to take the flat side of my metal meat tenderizer and tap it on the bottom of the tin. 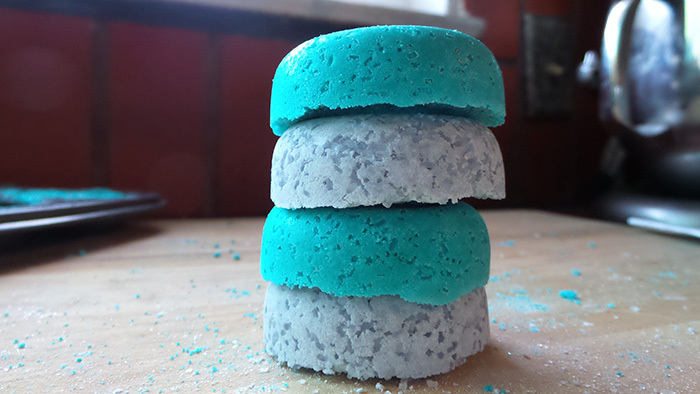 This trick worked with my donut shaped bath bombs. 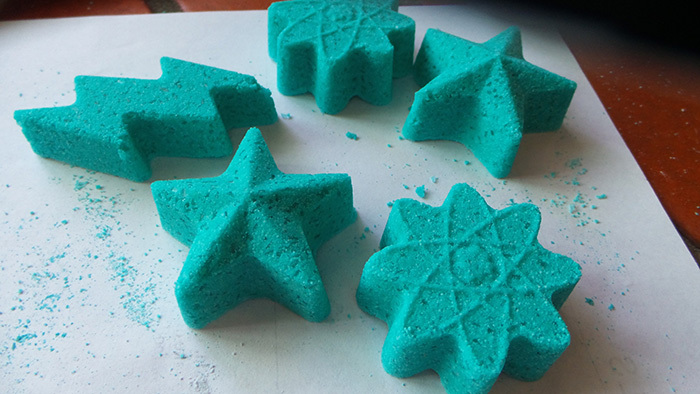 What is fun about making these bath bombs is that you can make some for yourself and also package up some to give as a gift. I made a cute label with my Silhouette and placed it on a plastic container I got at the Dollar Store. This will make a perfect gift for grandma!